Hello from Halo Wars at Gamescom 2017! 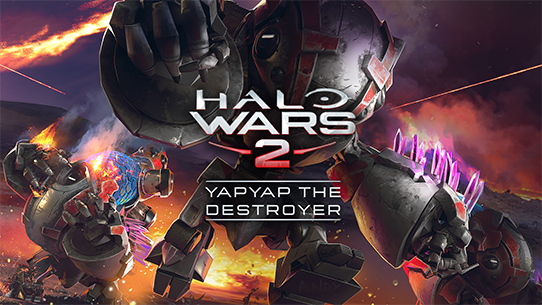 Of course our newest leader YapYap THE DESTROYER is a hard act to follow, and hopefully all of you are enjoying his Grunty power in the kill-your-friends-or-perfectly-innocent-strangers game mode of your choice. 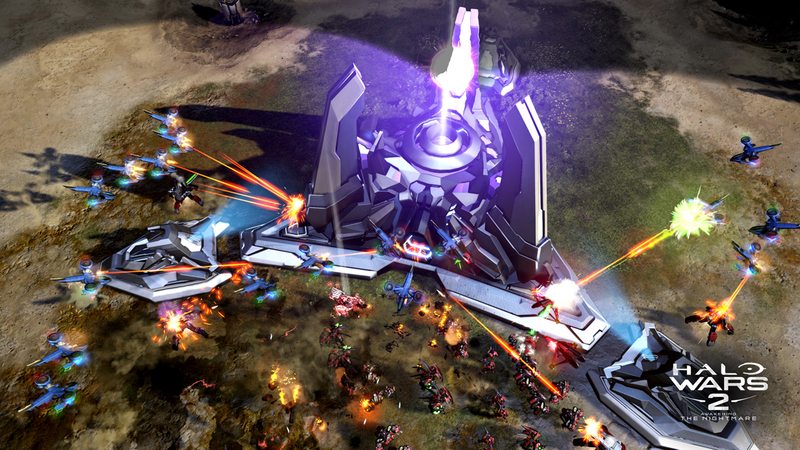 We wanted the last of our slate of Season Pass leaders to go out with a bang and a bit of a wink, and it only made sense to tap a Grunt to add a bit of levity before the much more serious developments at Gamescom. 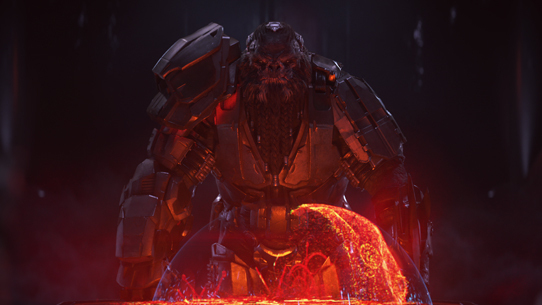 The Flood making a return to Halo is big news, both from a Halo universe perspective (this is the threat that caused the Forerunners to kill all sentient life in the galaxy 100,000 years back…how could even someone as clever as Atriox handle it?) 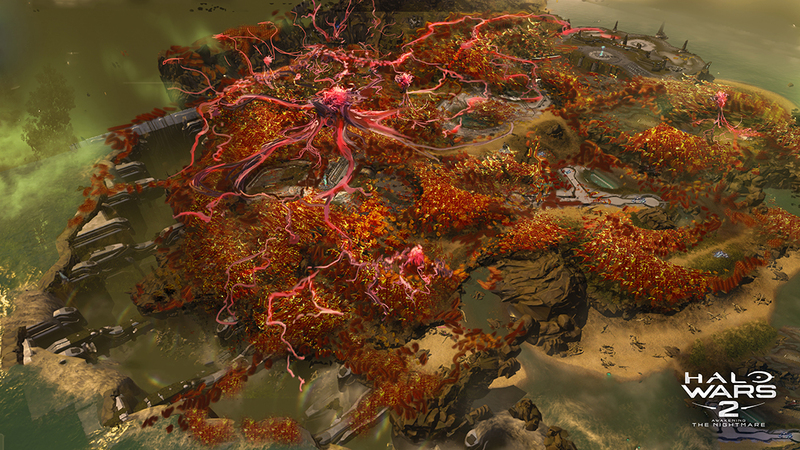 and because of the fun the Flood offers in a strategy game. 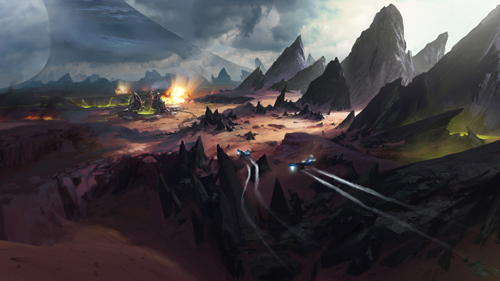 The Flood can (and will) manifest in whatever combat forms are most deadly for a particular fight and that ever-changing threat sets up so many fun challenges to solve with the tools available in your troop, base, and leader power sandbox. Awakening the Nightmare also adds a whole new Firefight mode called Terminus Firefight, which will let you play solo or with friends as any of our leaders against a never-ending rush of randomized enemy waves. The number of possible leader combinations with all the different leader powers and hero units is going to make this mode pretty nuts and while there will definitely be competition for highest scores, it’s going to be a great new way to team up with friends when you’re not in the mood for some Deathmatch base-rushing madness. Check out Terminus Firefight pre-release gameplay footage captured for the 2017 Gamescom Show! 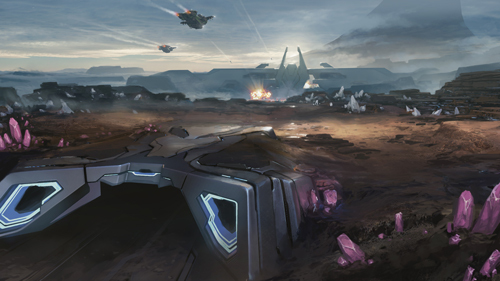 Add in new support for Spectator Mode and Arena tournaments, full 4K and HDR support for everybody playing on the Xbox One X, two new leaders coming in the form of the two Brutes responsible for unleashing (and hopefully re-leashing) the Flood in the new story, and two new competitive multiplayer maps and September is going to be a big month for Halo Wars 2. 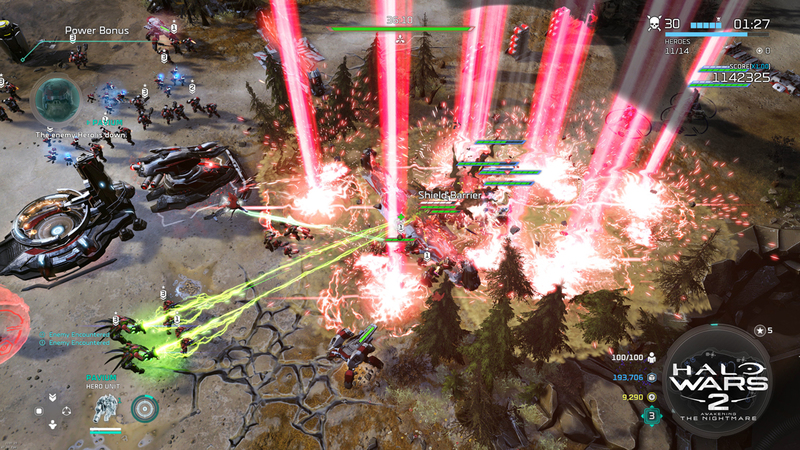 The September update for Halo Wars 2 includes two new multiplayer maps - "Mirage" & "Fissure" - both of which will be free to all players. 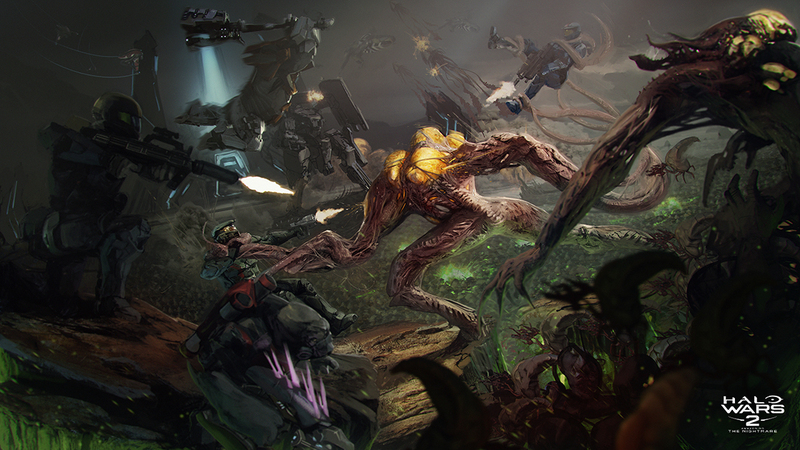 Stay tuned for more Awakening the Nightmare details - and on behalf of the whole Halo Wars 2 team, thank you so much for all of your time and feedback sent on the game. 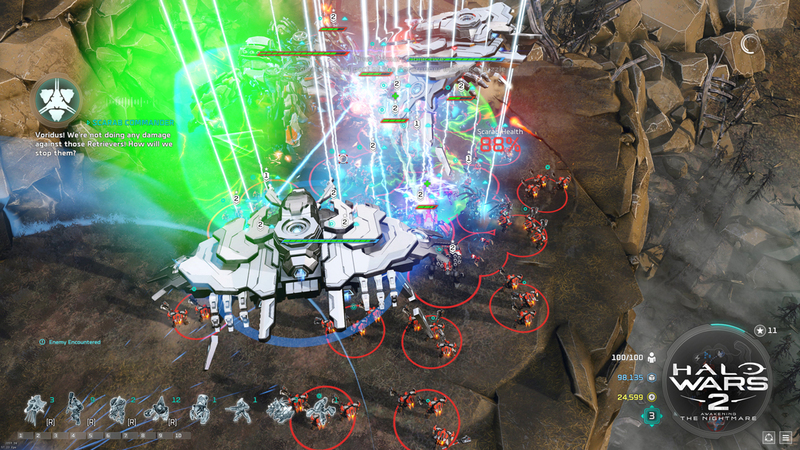 Halo Wars 2 has grown so much since launch with new leaders, stories, and features, and we couldn’t have done it without the help of our community. 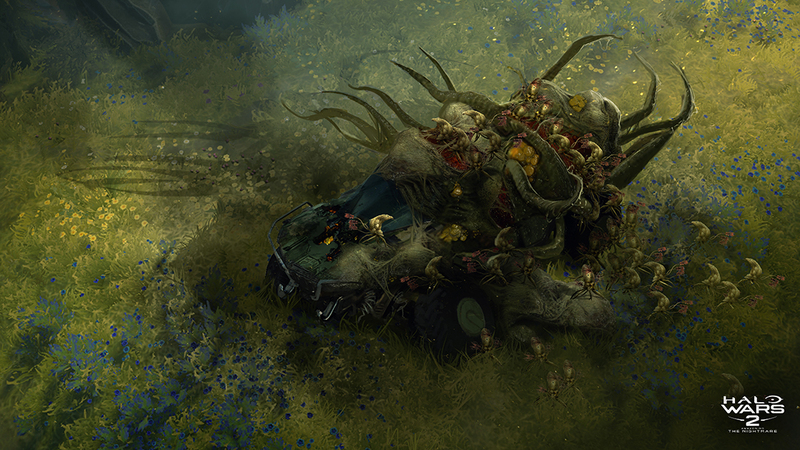 Setting the Flood loose on you is admittedly a strange way to say thanks, but in the long run we hope you understand we did it with (infectious, tentacle-y) love.